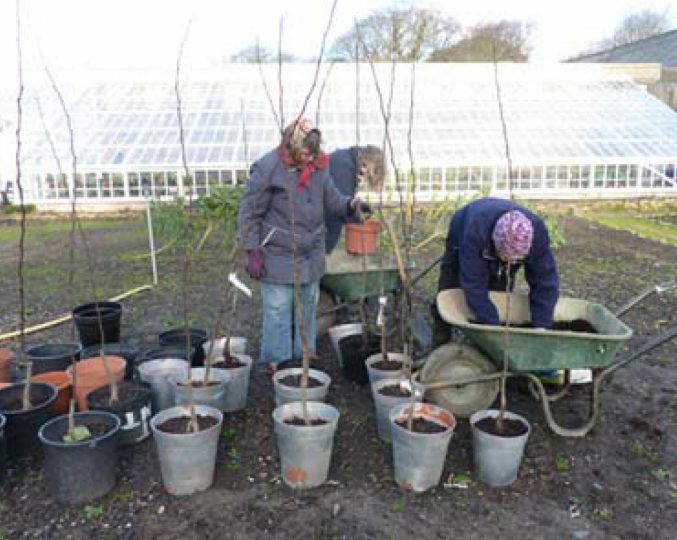 We’ve enjoyed a cold, bright and dry week – a perfect time to pot up our Chaumontel pears. This variety is peculiar to the Channel Islands and fascinating further reading about Chaumontel can be enjoyed at Guernsey’s Priaulx Library’s website. 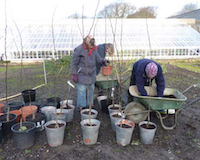 The Winter season is an important time for other types of garden maintenance here at the Victorian Walled Kitchen Garden, Saumarez Park. 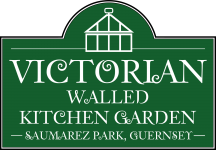 Guernsey’s Community Service team continued painting our garden benches in the greenhouse and our volunteers continued tidying up the soft fruit in the Small Walled Garden. Various sections of the tool shed’s ‘hanging door’ which had suffered in the recent winds were re-hung. Working through our to-do list in these quieter months, makes for a great garden once the Spring and long Summer season arrive. The month of March seems like a long way away, but as sure as eggs are eggs, the Spring time will be here before we know it.